Experienced kitchen contractors would recommend you to rid your upper cabinetry of doors. Open shelving keeps the wall visible, making it feel less claustrophobic. Cabinets can’t produce the same psychological effect because they don’t create a sense of depth. Don’t hesitate to make your open shelves reach the ceiling to display more items, and keep things off the counter as much as possible. Favor lighter colors over dark ones. The former reflect lots of light, and brighten up your kitchen naturally. If you like bold hues, use them on small details or in small quantities only. DuPaul Construction knows that making the light bounce is an effective way to create an illusion of space. Use reflective materials as much as possible. Experts in kitchen and basement renovations would advise downsizing almost everything when space is scarce. In addition to appliances, the sink is another logical feature to scale down. After all, a long sink could feel out of place in a tiny kitchen. You could, however, make up what width you lose with depth. The presence of visually dominant features could make small areas even more cramped. Accept the fact that you can’t have everything you can normally find in a traditional kitchen. Keep everything as unobtrusive as possible to let the collective whole shine. Specialists in kitchen renovations and home additions would nominate the backsplash to be your space’s focal point. Go all out with its design to lend interest to your otherwise ordinary cooking zone. You could even turn it into a window to pull more sun in, and extend your gaze to the outside. Not all kitchen ideas are suitable for every home. 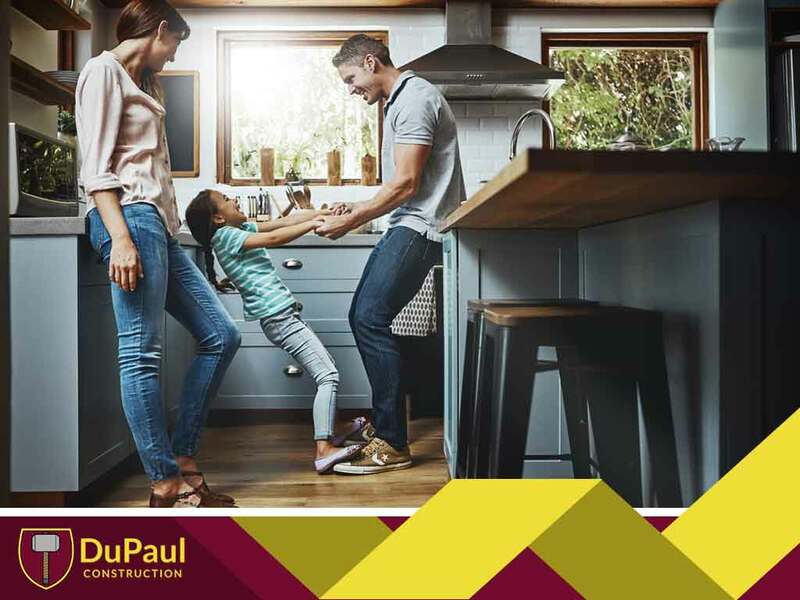 Discuss your project with DuPaul Construction to determine the remodeling concepts that could (and couldn’t) work with your space. Call us at (304) 759-8543 now to schedule a consultation in Martinsburg, WV.